Many years ago I was given a small aquarium with about 10 fish. It had an external siphon filter that hung on the side by today's standards it was very basic. I eventually gave the aquarium away. I had no desire to own another aquarium, but always wanted a pond. Having young children the decision to dig the pond was always 'when the children get bigger'. Well that day finally came and we decided that we were going to have a pond. Our latest venture into aquariums came about whilst in a local pet shop with my son, we were buying some fish for the pond and he took a fancy to some Orandas and Fantails. I had an idea that these fish were not really suited to being kept in a pond, but I was assured by the manager that they could and so I bought 6 of each. It was coming up to winter, and I had already prepared a 40 gallon water tank in my porch to winter the original pond fish that I had gone for. 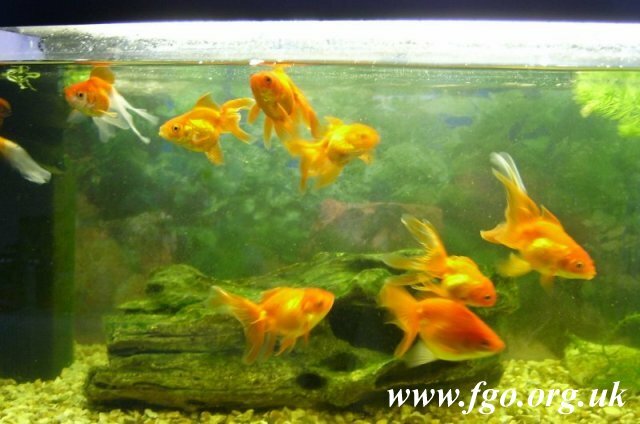 There are varying opinions about fish but the general advice is not to put Orandas and Fantails in a pond and so I put them with the other fish in the water tank. However very soon I made a decision to buy a 36 inch aquarium and stand and keep them indoors, this was the start . 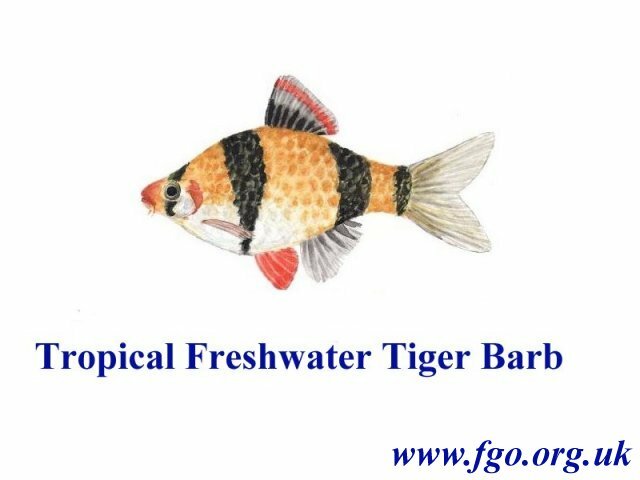 We have now moved on and have 4 aquariums, all freshwater, tropical and coldwater, a Fluval 1200 Duo (tropical), a Fluval 800 Deep (tropical), a Fluval 500 (tropical) and the original tank (36 inch coldwater). 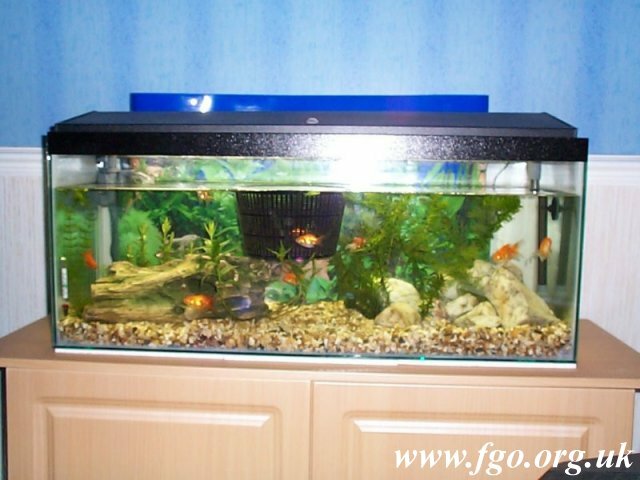 The 36 inch tank and Fluval 500 are not in general use, they are used as nursery and over winter tanks. It has been quite interesting trying to remember all the do's and don'ts and yes we have made some mistakes along the way, but I feel that we are now over the main hurdles. We have had varying types of fish, some with more success than others and dare I say it some with too much success. 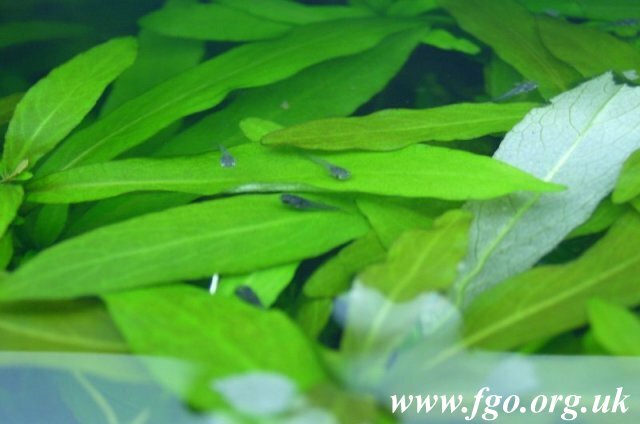 Guppies, Mollies, Catfish and Swordtails have given us a major problem simply because they breed so quickly. 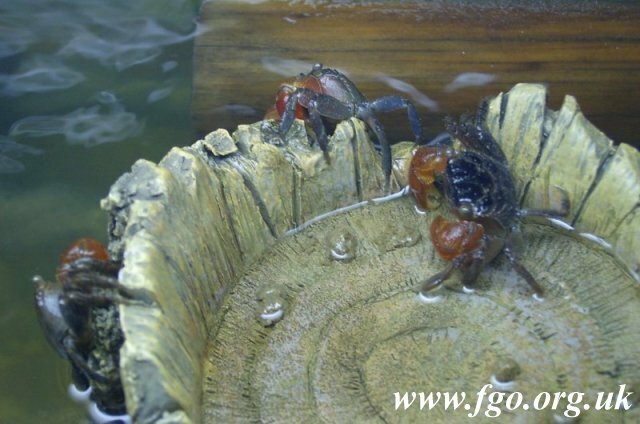 These are Perisesarma (Sesarma) bidens, red crabs but unfortunately they proved a little difficult to keep at the time. 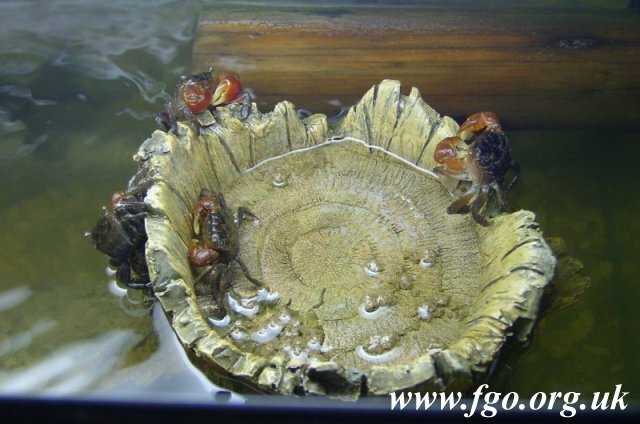 We have also had major problems with snails, we've tried all kinds of treatments and supposed remedies but to no avail. 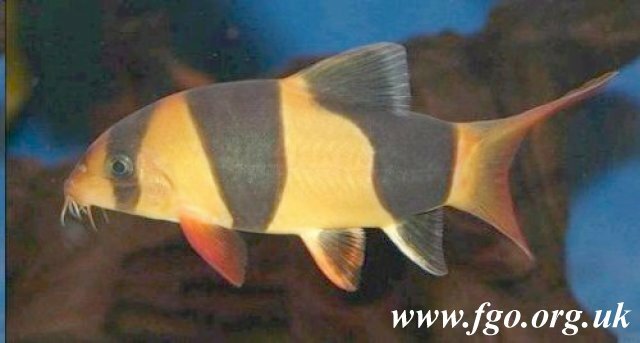 We were advised to get some Clown Loach because they eat the snails, we did and the problem has gone. 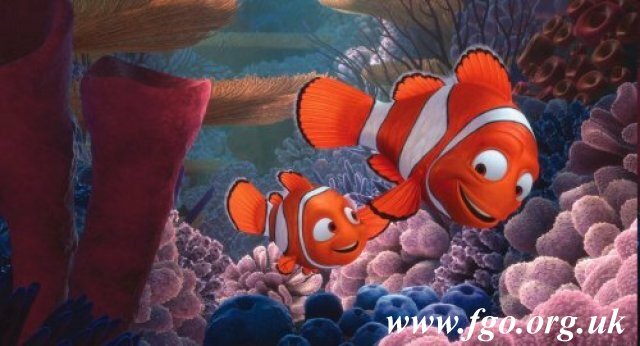 Please note this is not a Tiger Barb, nor a Clownfish as in Finding Nemo the film, Nemo is a Tropical Marine Fish.